ToNeTo Atlanta first announced plans for The Mad Italian to expand and relocate back in the fall of 2016. In the years since, things have moved far more slowly than patrons or restaurant owner Tom Brown might have liked. Finally, though, the time has come. The Mad Italian location at 2197 Savoy Drive closed Sunday night. Brown tells ToNeTo Atlanta that he plans to reopen for lunch Wednesday the 24th in the new location, 2089 Savoy Drive. To hedge against potential rent increases among other things, the owners of The Mad Italian purchased their new restaurant, something they had never done before. 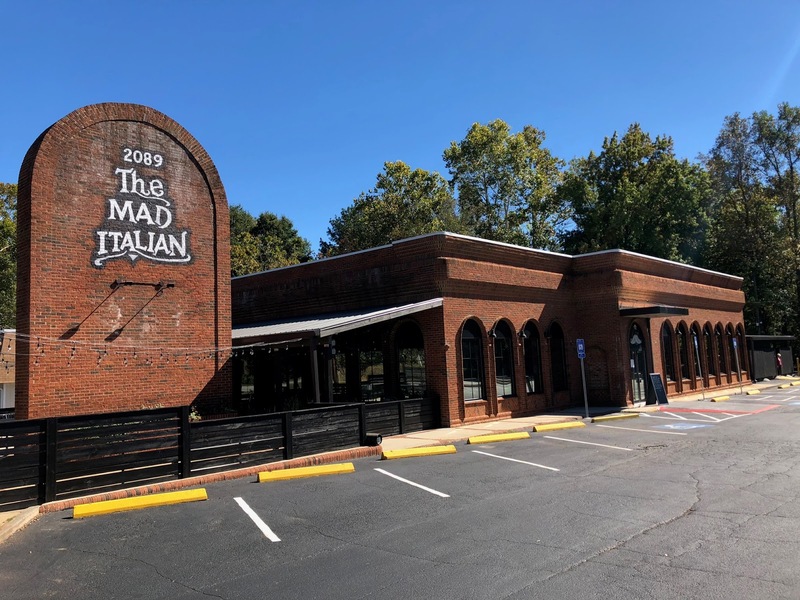 The Mad Italian has been a popular Atlanta restaurant for decades. At its height, the chain, which started in 1973, had nine locations around metro Atlanta. Today only the Chamblee location remains in operation. Its website and materials proudly proclaim they serve "The Best Cheese Steak South of Philly." The restaurant also offers assorted baked pasta, pizza, hoagies, salads and other fare. The existing Chamblee location of The Mad Italian, which opened in 1981, is a converted Dairy Queen. The space is about 4,000 square feet and will be transformed into Duke's Burgers & Brews, a new burger concept. The new location of The Mad Italian occupies a former Olde Mill Steakhouse, which had most recently operated as Allure Lounge. Brown, who purchased the building and property, has completely renovated the approximately 6,200 square foot building. 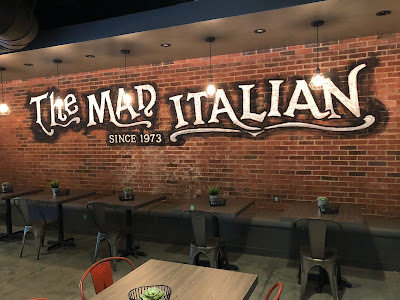 The new Mad Italian will feature a full bar, but Brown promises that it will not lose its charm: "it's still gonna be a hole in the wall." Duke's, which Brown will operate as well, promises to be "new and different" with plans to offer a variety of bun options, from gluten-free to whole wheat and everything in between. Everything in the casual restaurant will be scratch made including house-blend meat, hand cut fries, house-made tater tots (hallelujah) and hand dipped onion rings. Brown hopes to have Duke's open within a few months, hopefully by next spring. The new Mad Italian, which is about 50% bigger than the original location, will offer seating for about 200 patrons with a large dining room, semi-private dining room and a large outdoor patio. Brown had hoped to be open months ago but was sidelined by a number of delays. 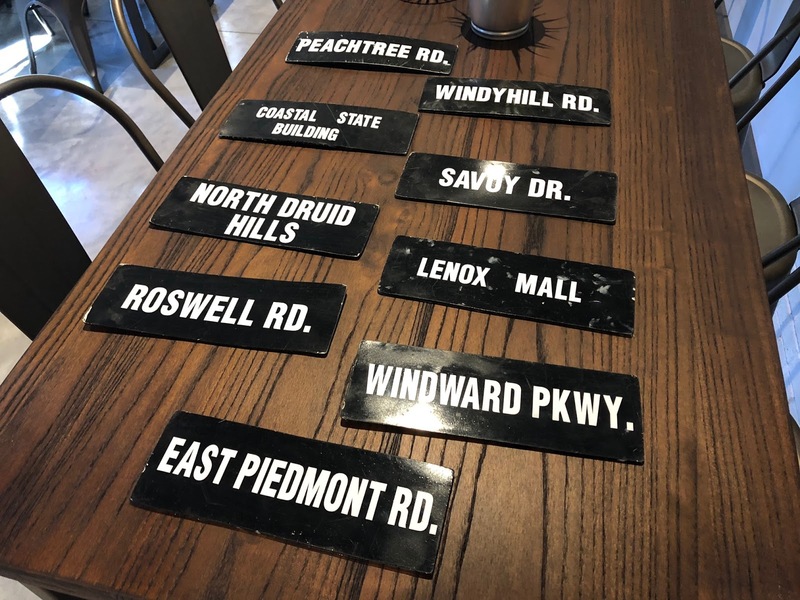 ToNeTo Atlanta was provided an exclusive tour of the new dining room Sunday afternoon and it's safe to say the wait was worth it. The "new" restaurant retains the charm of the older restaurant, but does offer more space and updated finishes. The new restaurant also features assorted artwork commissioned especially for The Mad Italian, as well as one piece at the entrance gifted to the restaurant by a longtime patron. Are you excited for the new The Mad Italian to open? What was your favorite The Mad Italian location?  What is your favorite menu item at The Mad Italian? Interesting! Where was the one on Windy Hill? Anyone remember? The Windy Hill restaurant was located in an outparcel of Windy Hill Village shopping center. The center is located near the intersection of Windy Hill and Cobb Parkway and was previously anchored by an Uptons and is today anchored by Ollie's Bargain Outlet. Mad Italian is one of the few places in Atlanta that makes an authentic cheese steak. It doesn't matter what the building looks like, as long as the cheese steak doesn't change. good food, good people, this place will be packed just like the venue they moved out of. I'm not sure they even have the best cheesesteak in Chamblee. Big Dave's Cheesesteaks at Winters Chapel and Peeler is pretty hard to beat. I'll give Mad Italian another try though as it's been a long time since I've been there. Looking forward to the new location. We eat at Mad Italian often! No. The Windy Hill location was near the old Lionel Play World on the corner of Windy Hill and 41, opposite of where Ollie’s is now. Actually, the one on Windy Hill was on the other side of 41, in the now demolished plaza where Umezono and Boomers were. Unless it relocated at some point, that Windy Hill location in the Upton's/Ollie's plaza is incorrect. It was located in the plaza behind what was once Boomer's. Behind a current Western Union on the corner. In the plaza with an I Love Sushi. Galla's also makes a good cheese-steak, imo. We received mediocre, indifferent, and pretty slow service at TMI, thus haven't been in a good while. Paint the building?!? It looks fine. I agree. Big Dave's Cheesesteaks has the best cheesesteak now. I have been following their instagram and eating there. Big Dave's Cheesesteaks has bade it to the world food championships sandwich division - can't say that about the Mad Italian. The Mad I in Marietta was in the center on the SW corner of windy hill and 41. I worked and managed these restaurants at 4 of their locations from 1976 to 1982 and loved this company and still am a little biased to their products! We were and they are still the best at a great cheesesteak and Italian hoagie! I'm proud to be a part of their heritage. The Windy Hill location was in the plaza with the Buckboard and opened in 1976. I worked for the company for 7 years and managed 4 different locations, the last being Savoy drive. It has always been the best place for a cheesesteak and Italian hoagie in Atlanta. Their commitment to using the best quality ingredients since opening on Peachtree St in 1973 has never changed. 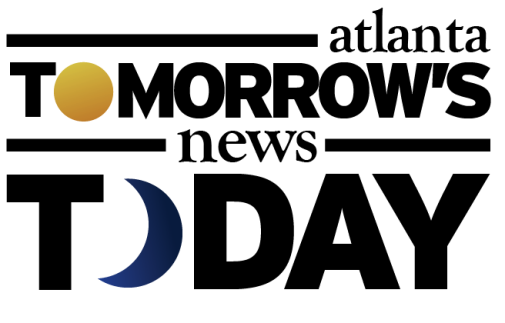 I am proud to be a part of their heritage and will always be a strong supporter of this company. Tom Brown and his brother Rick were the perfect people (with exception of myself) to take the helm from the Wonderful original owners. Keep up the great work! !